New Mega Charizard X/Y EX Cards! These two new EX cards will be released on May 7th with the newest Flashfire expansion set from XY! What do you all personally think about these cards? 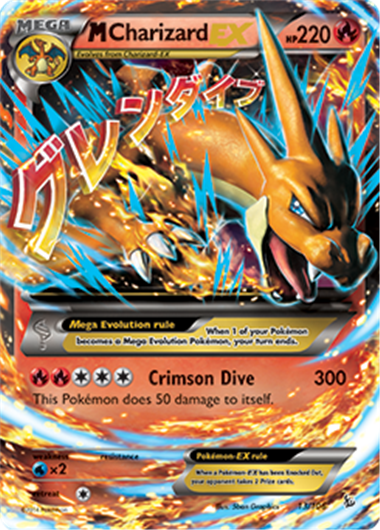 Previously Mega Blastoise and Venusaur EX were released to start the mega evolution card lines, but now with the charizards out as well, the other mega evolutions are near. What mega evolution cards are you hoping to see next? Didn't these cards get revealed near the start of February? since that was the first time I saw these guys. But as far as Charizard goes, these guys are par for the course - worthless and unplayable. I'm not sure really. It has been a while since there has been a thread in the Trading Card section here, so I felt like I should share these cards because I found them to be pretty interesting and something decent to share to those who possibly didn't know about them. 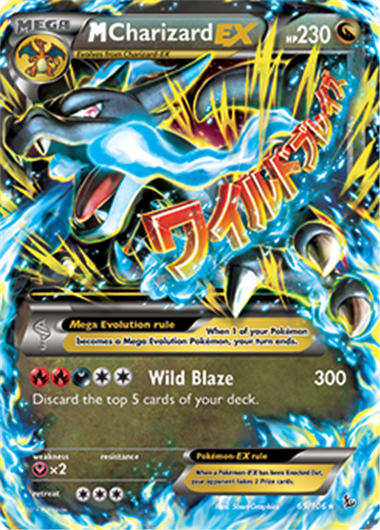 The M.Evolution cards do have pretty interesting artwork, though it isn't the first time they've had pop-out effects like those (Pokemon LV.X were the first, and Pokemon-EX starting in NXD have had those for a while). They just tend to get a bit more elaborate. I'm fairly convinced that M.Evolutions only have binder value, and won't see much legitimate play in official TCG events. Ah well, suppose they had to up it to 300 because of M.Evolutions themselves (which so far all have above 200 HP, the previous 'hard cap').